PlayStation 4 moves 140,432 consoles. Monster Hunter: World for PlayStation 4 sold 1,350,412 million retail copies during its first three days of release in Japan, setting a record high in first week sales for a PlayStation 4 title, according to the latest Famitsu sales numbers. It is also the top-selling PlayStation 4 title in total sales. Furthermore, Famitsu predicts that total sales will exceed two million if digital copies are included. The release of the monster hunting action game pushed PlayStation 4 hardware sales (including PlayStation 4 Pro) from 44,910 units the previous week to 140,432 for the week between January 22 and 28. It was the second highest sales week for PlayStation 4 hardware in Japan following the 322,083 units sold during PlayStation 4’s launch week between in 2014 (between February 17 and 23). Total PlayStation 4 hardware sales in Japan are now at 6,187,000. 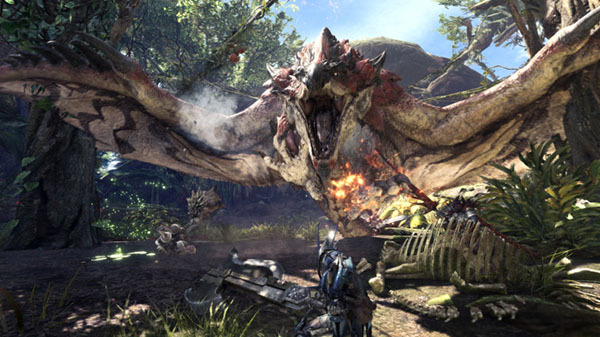 Monster Hunter: World is available now worldwide for PlayStation 4 and Xbox One. In Japan, it is only available for PlayStation 4. It is due out for PC this fall.